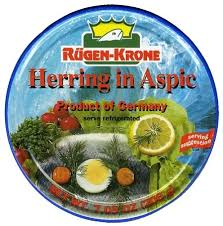 Herring fillets in a spicy aspic. 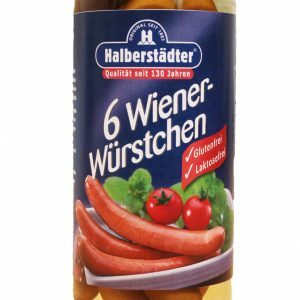 Contains acid. 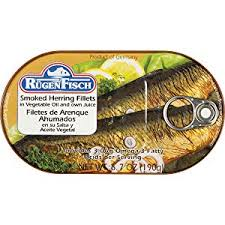 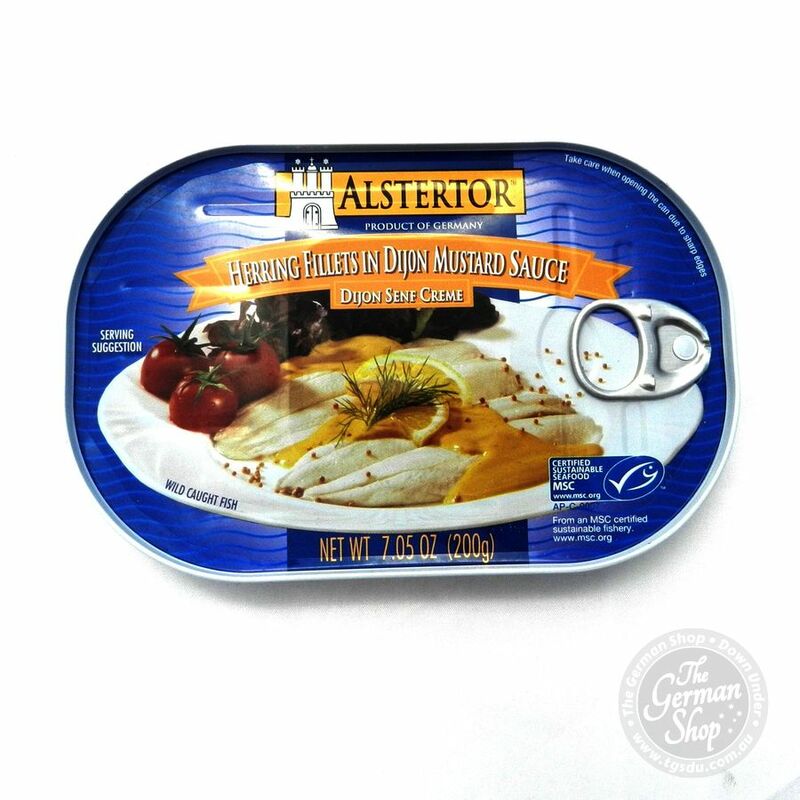 Herring fillets – Clupea harengus (50%), aspic (48.5%) (water, edible gelatine, distilled vinegar, table salt, acid: malic acid; seasoning (contains celery), sweetener: sodium saccharin), sliced carrot (1.5%).